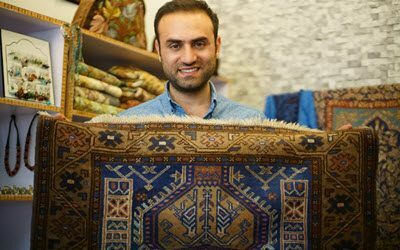 Smart Choice is highly qualified to handle your Kashmir rug repair, restoration, and maintenance. From cleaning to fringe repair, we have the tools and training needed to properly care for such a valuable home accessory! Because of the high quality of these rugs, Kashmiri rug restoration shouldn’t be trusted to just anyone! The rule of thumb with stains, tears, or unraveling is to act fast, but don’t sacrifice the quality of care for speedy results. Whether it’s the fringe or edges or a hard-to-miss hole right in the middle, your Kashmiri rug restoration services should last a lifetime…or longer! When your rug sees a lot of foot traffic or other wear and tear, the edges can unravel or wear down on their way to unraveling. Smart Choice and other qualified carpet restoration companies can reverse this type of damage with overcasting, also called over-edging. In this rug repair process, we wrap matching fabric around the edges of the rug, making sure to include the connections between the wool or silk warps and wefts so that the unraveling stops. There are multiple fringe repair services for rug owners to choose from. The type of repair you choose for your Kashmiri rug largely depends on how much you want to spend. There are inexpensive options (like attaching pre-made fringe) and more costly ones (like implanting fringe to blend with the damaged), but all of them will prevent your rug from unraveling and restore the appearance of your fringe. Reweaving the area is necessary when your rug has been severely damaged. Threads can sometimes be reinserted, but normally the area must be undone and rewoven for like-new results. If the hole is small, we may be able to insert knots in a very small portion of a rug that has moth damage. If the hole or tear is more severe, our only rug repair option may be to put the rug on an industrial loom and reweave a larger section, using very similar techniques to the ones that created the rug. Sunlight, staining, and abrasion can cause your bright, colorful Kashmiri rug to fade. You should never try to re-color a rug yourself. You could cause irreversible damage, even with the help of a seasoned professional. Kashmir is a region on the northern edge of India and Pakistan, just southwest of China. A Kashmiri rug can be made of either wool or silk. These rugs have anywhere from 200 to 900 knots per square inch. Rare, priceless Kashmiri rugs only on display now have as many as 3600 knots per square inch! 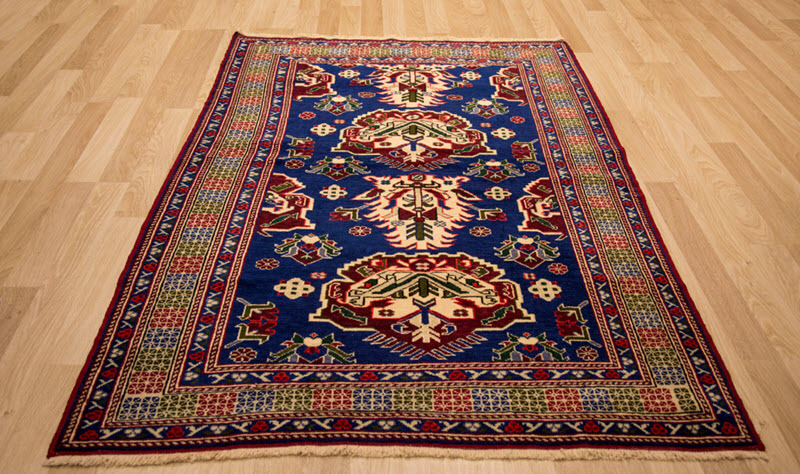 Kashmiri rugs are colorful and have bold designs that reflect their Persian and Oriental origins. The design is a huge part of the rug weaving process and must be carefully considered when doing Kashmiri rug restoration.